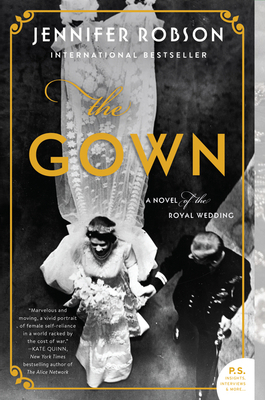 The Women's Speaker Series presents Jennifer Robson, author of The Gown, on Monday, May 6, 2019, 7 pm reception, 7:30 talk. Tickets for this event at the Lynden Sculpture Garden (2145 W Brown Deer Rd) are $23 including a copy of The Gown, $18 for Lynden members. Purchase your ticket by January 31 and you'll be able to pick your book at the Lynden anytime after February 10. You must visit the Lynden site to purchase tickets - buying the book from Boswell is not admission for this event. Go to lyndensculpturegarden.org/JenniferRobson19 for more info.